Senator John Barrasso, a physician, on what the current health-care bill is missing: a focus on patients and preventative care, not government. More than half of the money we spend on health care is spent on just five percent of the people. Basically, these are people who eat too much, exercise too little, and smoke. They develop costly and often preventable conditions: high blood pressure, heart disease, diabetes and many types of cancers. We need incentives to encourage people to live healthier lives. It's the first step we should take to control the cost of care. State employees often have access to state-paid screening exams. This common sense approach recognizes the value of early detection and prevention. Washington, D.C. does not. As a physician practicing in Wyoming for 25 years, I've been fascinated to see how little Medicare will pay for a doctor or nurse to spend time teaching a diabetic how to control blood sugar. Medicare pays much more to treat the complications when a diabetic's condition becomes uncontrolled. As the medical director of the Wyoming Health Fairs, I annually supervised the blood testing of over 50,000 Wyoming family members for over two decades. We test for cholesterol, diabetes, anemia, thyroid problems, prostate cancer and much more. With the help of these programs, people have taken charge of their own health. Amazingly, Medicare still refuses to pay for these low-cost exams. Medicare routinely pays much higher prices for individual blood tests if a patient has symptoms. Medicare does not cover screening tests to help our seniors identify problems early. It’s no surprise Medicare is going bankrupt. Businesses that want to motivate their employees to adopt healthy habits face a maze of government obstacles and regulations. They have to contend with a bewildering Washington bureaucracy. The Health Insurance Portability and Accountability Act, the Americans with Disabilities Act, the Employee Retirement Income Security Act and numerous other rules that make it difficult for them to create effective incentives. The proposed Senate health care reform bill does not improve the situation. While they pay lip service to prevention, the money is spent on walkways, street lights and jungle gyms. These projects may be worthwhile, but they do not get people off the couch and into a healthy lifestyle. We can do better. Real health care reform must be focused on the patient. The way to reduce costs and improve health is to create incentives for people to take responsibility for their own health. There are different approaches to helping others stay healthy. One approach says people generally can be trusted to do the right thing, and society prospers when government has less to say about how people run their lives. Others start by assuming that Washington knows best and that government should take more authority over all of us. I prefer individualized incentives that encourage healthy behavior. Regrettably, our current health care system is not built to highlight wellness and prevention—nor do the reforms currently under discussion in Congress. It is time to revise federal regulations so employers and insurers can more easily offer wellness programs that reward people who quit smoking, lose weight and control their cholesterol and blood pressure. That's what was done by the chains Safeway and Whole Foods. They reduced their health care costs substantially. The rules should make it easier for all businesses to offer these kinds of voluntary programs. Real reform means changing the Medicare payment system to pay providers for the time spent working with patients on personalized prevention and healthy living plans. Since Medicaid and other insurance programs base their payments on what Medicare allows, this would go a long way toward focusing doctors, physician assistants, nurse practitioners, dietitians and other health professionals on keeping patients healthy, instead of treating them once they become sick. In many cases, and for many people, the best result of health care reform will not come from Washington. It will happen when government gives people around the country the freedom to control their choices and truly take charge of their own health. Congress is planning an extremely expensive experiment that will affect the life of every American. They should be focusing on taking cost effective steps that will improve the health and the health care of our country. 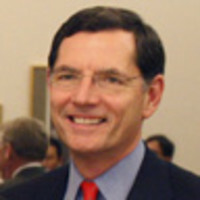 John Barrasso is the junior senator from Wyoming.